Five youthful years in Vienna. It was then and there that Adolf Hitler's obsession with the Habsburg Imperial family became the catalyst for his vendetta against a vanished empire, a dead archduke, and his royal orphans. That hatred drove Hitler's rise to power and led directly to the tragedy of the Second World War and the Holocaust. The royal orphans of Archduke Franz Ferdinand-offspring of an upstairs-downstairs marriage that scandalized the tradition-bound Habsburg Empire-came to personify to Adolf Hitler, and others, all that was wrong about modernity, the twentieth century, and the Habsburg's multi-ethnic, multi-cultural Austro-Hungarian Empire. They were outsiders in the greatest family of royal insiders in Europe, which put them on a collision course with Adolf Hitler. As he rose to power Hitler's hatred toward the Habsburgs and their diverse empire fixated on Franz Ferdinand's sons, who became outspoken critics and opponents of the Nazi party and its racist ideology. When Germany seized Austria in 1938, they were the first two Austrians arrested by the Gestapo, deported to Germany, and sent to Dachau. Within hours they went from palace to prison. The women in the family, including the Archduke's only daughter Princess Sophie Hohenberg, declared their own war on Hitler. Their tenacity and personal courage in the face of betrayal, treachery, torture, and starvation sustained the family during the war and in the traumatic years that followed. 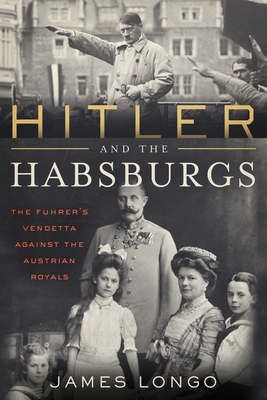 Through a decade of research and interviews with the descendants of the royal Habsburgs, scholar James Longo explores the roots of Hitler's determination to destroy the family of the dead Archduke. And he uncovers the family members' courageous fight against the F hrer.